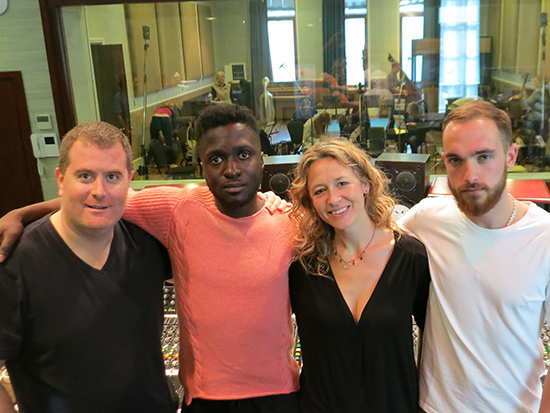 Rosie Danvers has written and recorded an arrangement for Kwabs at RAK Studios, London. This session rocked our world this week, it’s one of the best and most inspiring songs of the year for us! Producer TommyD, Kwabs, Rosie Danvers and Producer Felix Joseph at RAK Studio 1.